INDUSTRY.co.id - Jakarta - The budget allocation of the Ministry of Energy and Mineral Resources (ESDM) in the State Budget (APBN) each year is made more efficient and the utilization of the majority directly touches the people. There are two important aspects related to the ESDM Ministry's budget strategy, namely quantity and quality. "From the aspect of quantity, the budget is made more efficient, saving from quality aspect, the majority is used for more productive expenditure such as infrastructure," said Agung Pribadi, Head of Communication, Public Information and Cooperation Service Bureau, Ministry of ESDM in Jakarta (11 / 6/2018). In 2015, the budget allocation of the Ministry of Energy and Mineral Resources is around Rp 15 trillion. Then savings are made so that in 2016 until 2018 the budget allocation in a row amounted to Rp 7.7 trillion, Rp 6.6 trillion and Rp 6.5 trillion. "The budget size of the Ministry of Energy and Mineral Resources is more efficient from year to year, and more important is the portion of the utilization of its budget from 2018 to the majority or 57% for public physical spending, for infrastructure, in line with the increased national infrastructure spending," added Agung . By 2018, the majority or 57% of the ESDM Ministry's budget is spent on infrastructure or in direct contact with people such as gas networks for 88 thousand households, the distribution of LPG converter kits for 25 thousand small fishermen, the drilling of clean water in 550 difficult areas of water, the distribution of 170 thousand Solar Energy Efficient Lamp (LTSHE) for the village has not been electrified. 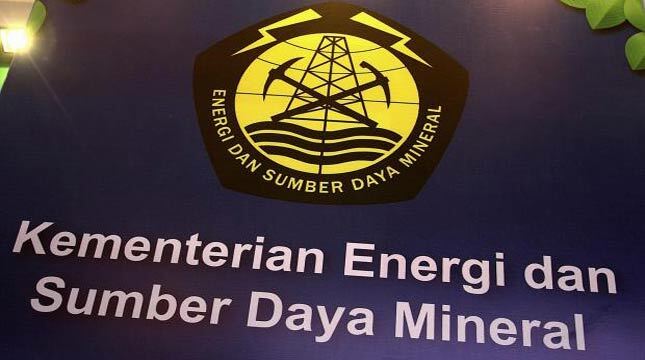 "Infrastructure share of 57% in APBN of Ministry of Energy and Mineral Resources just started this year, Excersice for the year 2019 is also above 50% .The previous years have never reached 50%," said Agung. Although in 2018 the Ministry of Energy and Mineral Resources is only around Rp 6.5 trillion, but the contribution of the ESDM sector to the non-tax state revenue (PNBP) reaches Rp 120.5 trillion. "From the national PNBP plan of 2018 around Rp 1,895 trillion, the contribution from the EMR sector is Rp 120.5 trillion or 44 percent," Agung said.